The second part of the survey results are very interesting. 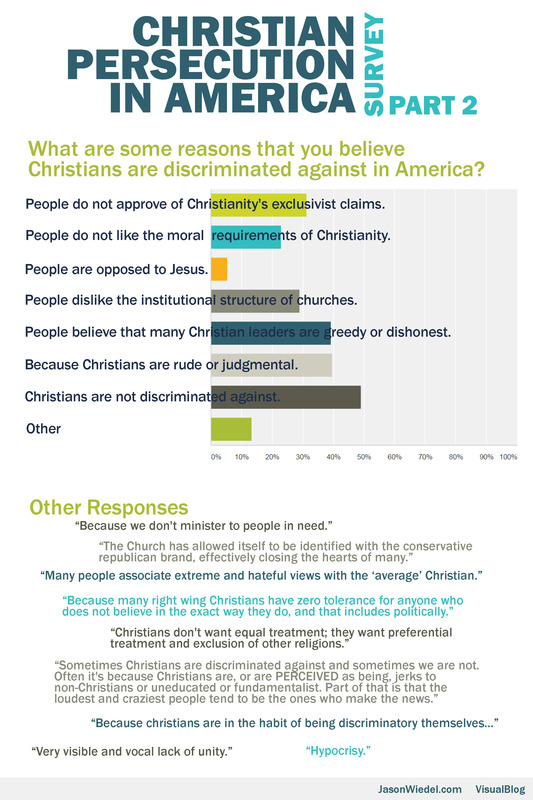 While some people believe that Christians experience legitimate discrimination, the majority see the issue quite differently. Also, check out part 1 and part 3 of the survey results. My book Persecution Complex examines this issue in some detail. Learn more about the book here.